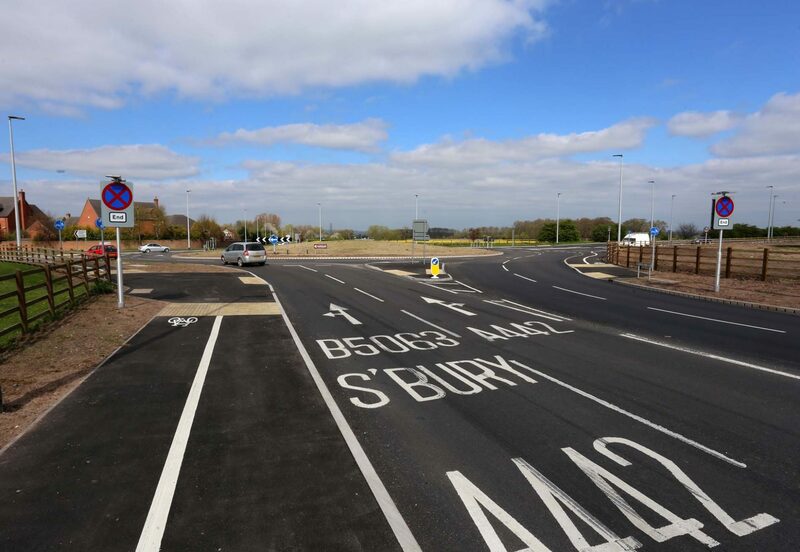 Improvements to the 4-leg Shawbirch Island on the A442 and B4394 northern approach to Telford were undertaken as part of the Growth Point Package of highways improvements for Telford & Wrekin Council in 2016. Extensive service diversions were undertaken before the works commenced which included water, gas, electricity and telecoms equipment. 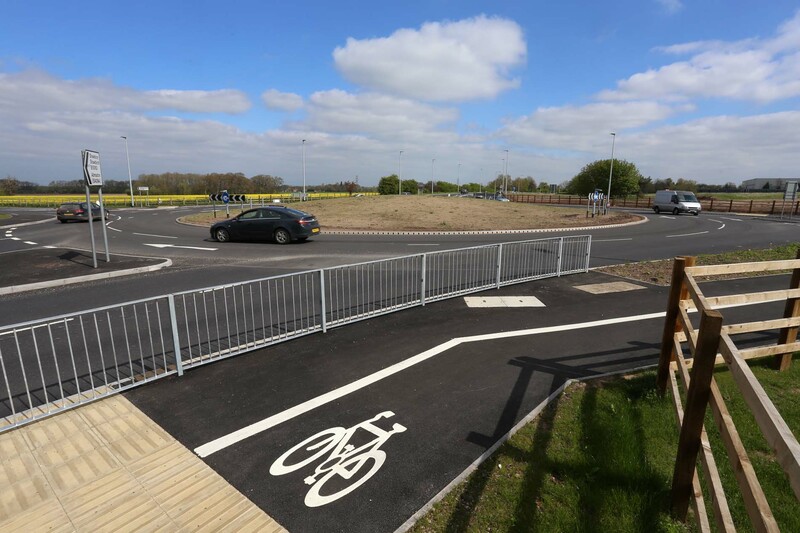 The traffic management strategy was designed to open up as much road space through the junction as possible at the start of the works to provide maximum flexibility in order to use the maximum road space for temporary traffic routes in order to keep flows moving. This involved 3 weeks of single lane running to remove the existing island and splitters. 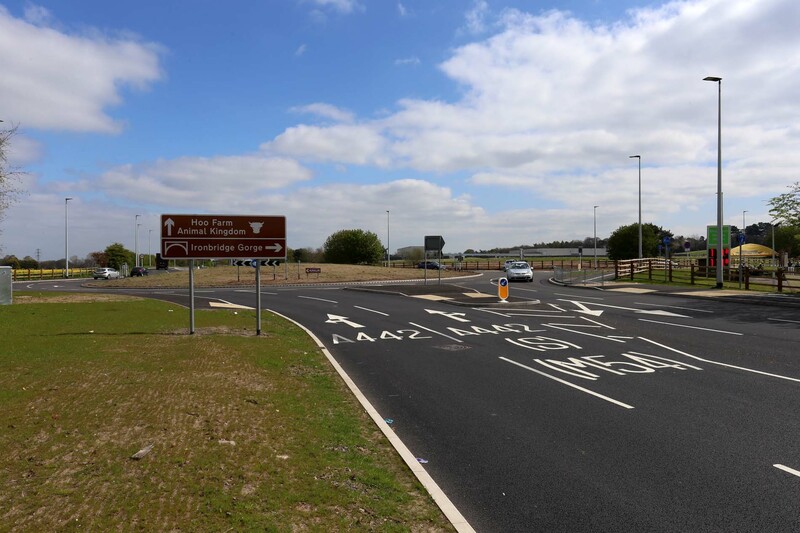 Activities to deliver the permanent works involved removal of 1138m of kerbs and 7500m2 of existing carriageway surface. Installation of 980m of new duct, 29nr gullies and 470m of surface water drainage up to 600mm diameter with 11nr manholes. Erection of 24nr lighting columns and 205m of post & rail fence. Construction of 590m of new kerb drainage and 520m of PCC kerbs. 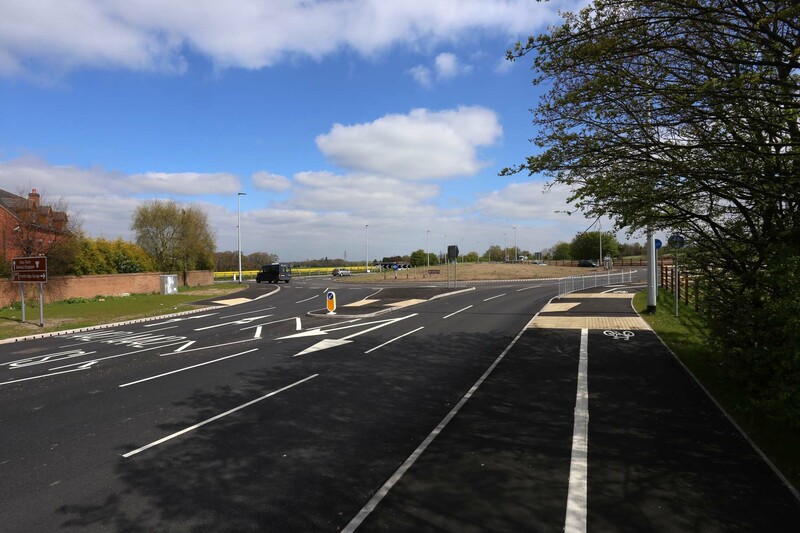 1600m2 of new 220mm depth tarmac footway was provided along with 4158m2 of full depth carriageway construction and an additional 4048m2 of surface course only.